Welcome to the 150th Anniversary timeline! This is a series of snapshots of The Lutheran Theological Seminary at Philadelphia through its 153 years as an institution. The school celebrated its last commencement in May 2016 and on July 1, 2016 became part of the new United Lutheran Seminary (ULS) by joining with the Lutheran Theological Seminary at Gettysburg. ULS offers the MDiv, MAR, STM, DMin and other programs at both the Gettysburg and Philadelphia campuses and online. Learn more and explore the offerings on the ULS website. This web-based timeline history of The Lutheran Theological Seminary at Philadelphia has 14 “chapters” much like a book. But unlike many books, typically read from the beginning to the end, this online history is one you can plug into at any of the 14 segments. Choose the period when you were enrolled at the school or knew it best – or not. Skip through to what might interest you. Feel free to comment on anything you see, and add your thoughts and memories on Your Page! Each chapter has an introduction hosted by LTSP’s Professor of the History of Religion in North America, Dr. Jon Pahl. Each chapter also has a written introduction. The first chapter does not begin when the seminary was founded in 1864, as you might think it should. The first chapter focuses on the Reformation period and Reformer Martin Luther. Why? Quite simply, the seeds that made the seminary’s founding possible were sown there, as retired Ministerium of Pennsylvania Professor Timothy J. Wengert, so eloquently describes in an interview conducted in March, 2013. The Rev. Dr. Philip Krey, at right, talks about the 150th Anniversary. Dr. Krey, who presided at the 150th commencement, was succeeded by the Rev. Dr. David Lose as LTSP president starting with the fall semester of 2015. LTSP closed the final chapter of its ministry as a single institution with the 153rd commencement in May 2016 and a closing ceremony on June 20, 2016. On July 1, 2016 the United Lutheran Seminary, a single school combining LTSP with the Lutheran Theological Seminary at Gettysburg, opened its doors on two campuses, looking forward to the future and trusting in God to lead the way. Other historical figures and populations helped lay the seminary’s groundwork. This online history features segments on Henry Melchior Muhlenberg, the arrival of Swedes and Finns in Delaware and the colonies, and the founding of Germantown by influential aristocrat Francis Daniel Pastorius. Then on to the founding of the seminary near what is today The Gallery at Market East on east Market Street in downtown Philadelphia. Each “chapter,” you will discover, has threads, some more than others, that enable you to delve into that particular “epoch” of the school’s history as you see fit. Some threads involve writing, but many feature images or interviews of faculty, alumni, and students, all part of the “living history” tapestry that is LTSP. For example, circa the 1950s you can reacquaint yourself with the legacy of Dr. O. Frederick Nolde and his global diplomatic achievements, including penning the Religious Freedom Chapter of the Universal Declaration of Human Rights (1948), accomplished while teaching Christian education on the campus. Watch an interview with Dr. David Little, an admirer of Nolde’s, and meet Nolde’s widow, Nancy. You can watch an interview featuring alumni Ed Uthe and Charles Fair, class of 1950, and John Kinzel, class of 1951, and their recollections of faculty, answering the phone in the Old Dorm, speaking of the late Dr. John H. P. Reumann, and more. You’ll see a couple of “living faces,” interviewed before they moved on from their earthly lives – saints John Kaufmann and Bob Blanck. You may conclude along the way that some anecdotes or precious memories or subchapters of this living history have been left out. One of the blessings of this history is that you may add a memory or thread to it that you feel belongs in the Comments section on each chapter page. We’ve designed it that way. Executive Producer John Kahler and Editor/Writer Mark Staples kid themselves that this electronic work is an “incomplete history.” As they have exhaustively traveled about, accomplishing research and scores of interviews, they have discovered threads that still need to be added to the tapestry. Some of these are not part of the site when it goes live. Despite all our efforts, we haven’t been able to get to them yet. Perhaps all histories are incomplete. But don’t give up on us. We’re still working on it. And the beauty of this resource is that we and others may continue to build the living history. 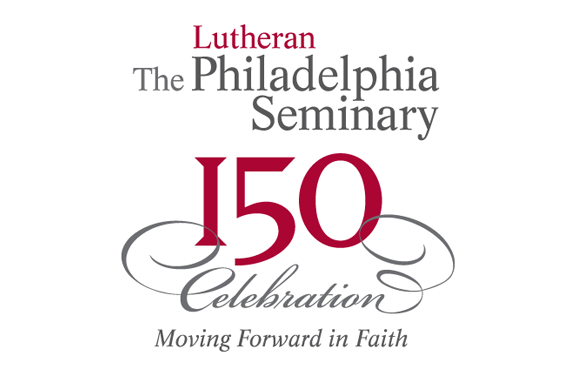 Add a chapter – The seminary’s part in the Martin Luther celebration in 2017? The 2020s anyone? A chapter to celebrate the 200th seminary anniversary in 2064? We’re just getting started! We’re indebted to so many wonderful partners, some already mentioned and others too numerous to mention, without whom we could not have accomplished what you have the opportunity to see on the web. First, we are deeply grateful to the late Professor Theodore Tappert for his careful book history of the seminary, predating 1964. It is our understanding that the late Dr. Clarence Lee, a noted and beloved historian on the seminary’s faculty, was beginning work on a history update when his untimely death interrupted the project. Dr. Faith Rohrbough then assembled a wonderful booklet of essays for the seminary’s 125th anniversary, featuring, among others, contributions from Dr. Gordon Lathrop and Dr. James Echols (you can view and download a scanned copy here). These initiatives furnished invaluable background for this electronic history. We also need to especially mention Dr. Karl Krueger, the seminary’s devoted librarian/historian; Dr. Philip D. W. Krey, so patient while this initiative has unfolded, and Merri Brown, the director of communications, who encouraged us. And to all students, faculty, staff, donors, and alumni who comprise the LTSP tapestry: thank you! We couldn’t have done it without you.